I thought I had seen it all. Moose and elk in Jackson Hole, parrots in Treble Cone, kangaroos in Thredbo and now monkeys in Shigakogen! 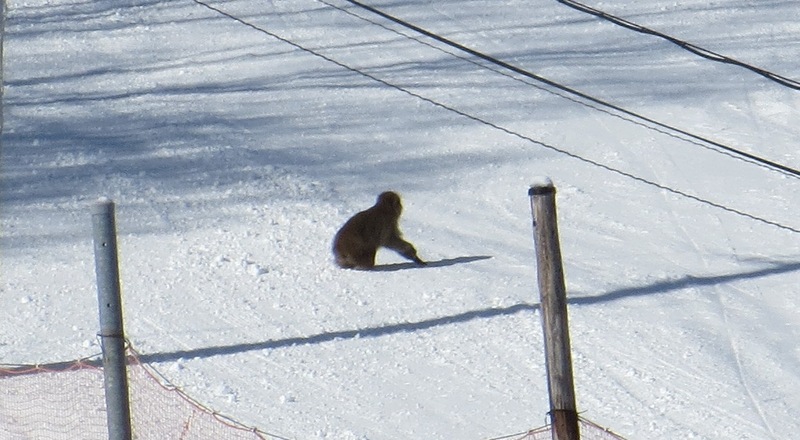 Whilst training on the hill, a troupe of around 30 monkeys wandered out of the trees, onto the piste and back into the trees on the other side. Some had babies on their backs and they were so cute I forgot to take a photo until the last moment when I just managed to get a picture of just one of them. After a day of training and getting to know our way around, it was straight into two GS races. A very big field meant that I was bib 74 on the first day and, although I gave it my best shot, I could get nowhere near the flip and it was so rutted that I would have lost my fillings (if I'd had any) during that first run. 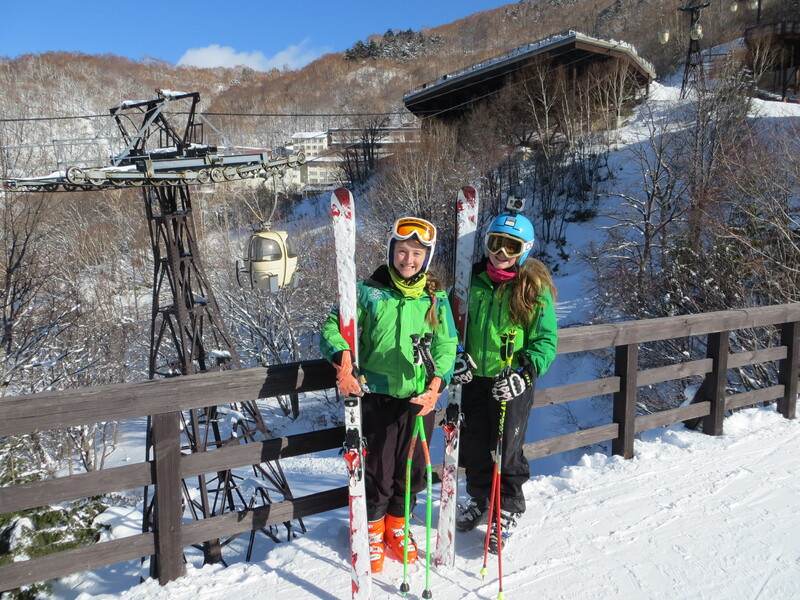 On the second day, the Japanese Volkl technicians were in the start area and realised that my sister and I were both using Vokl skis. You would have thought that we were Royalty ; they fussed about with our skis and bindings, fine-tuning them until they finally escorted us into the start gate! Unfortunately, even all that attention and assistance didn't help me through the massive ruts. At one stage just before my start, the race was held up for 10 minutes whilst the course was repaired because it was in such a poor state after only @ 30 racers. Straight after the race I was off to Tokyo in order to return to Italy where I have now joined up with my ski team in Europe and where I am now going to prepare for the World Championships in Schladming!